A mention of chives will most likely bring to mind a baked potato covered with a dollop of sour cream and topped with a sprinkling of the little green "sticks." But this thin, graceful herb has so much more to offer. A cousin of scallions, onions, and leeks, chives impart a delicate but slightly sharp flavor, adding a bit of brightness to any dish. Luckily, chives are easy to grow indoors and out, and are also available freeze-dried, making them the perfect year-round herb to have on hand. From bulb to flower, the entire plant is edible. When the purple blossoms are in bloom over the summer, a handful of chives flowers placed in a tall glass of water makes for an unexpected but pretty arrangement. If you are growing your own chives at home in either your garden or a container, when ready to use snip off the leaves with scissors down to two inches above the soil, rather than pulling the whole thing out by the root. This will assure continuous growth. 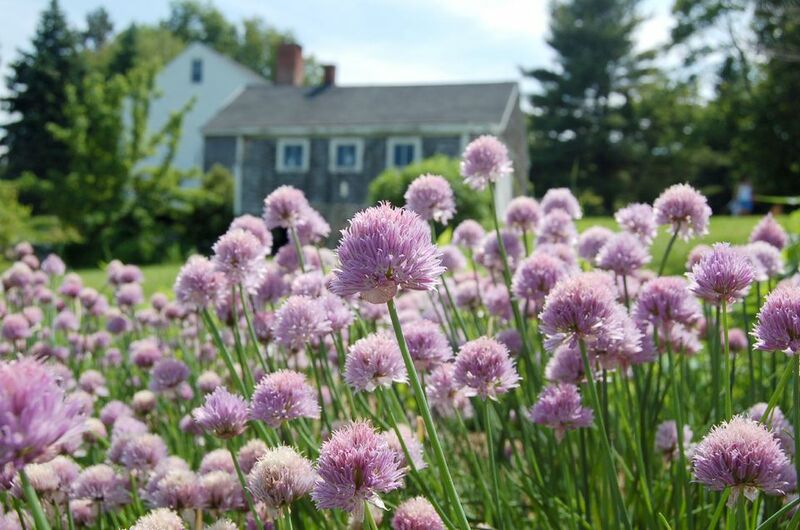 Although chives are available year-round their flavor is more intense when they are in season and freshly cut. Although mostly thought of as a garnish, chives should not be ignored as part of the ingredient list. To make the most of the delicate onion flavor of chives and retain the luscious green color in your recipes, it is best to use chives raw. If you must cook them, add them at the end, just before serving. Chives are essential in the classic seasoning fines herbes, which is a mixture of equal parts chopped tarragon, chervil, parsley, and chives. They are also delicious added to scrambled eggs as well as tuna, chicken and egg salads. Chives wake up a cream sauce and are the perfect addition to a flavored butter. Combined with freshly-squeezed lemon juice this green herb complements seafood and fish dishes. Add to your favorite vinaigrette to give it some zip. And of course, we know chives pair well with potatoes, so try mixing into your summer potato salad, blended in creamy mashed potatoes, or sprinkled on steamed little golden potatoes. As a garnish, chives bring a touch of spring to any dish. They are perfect for tying up small bundles of vegetables or puff pastry parcels or dumplings. You can also place small lengths into crisscross patterns on deviled eggs or crackers covered with any variety of savory spread. A simple sprinkling of chopped chives also livens up the appearance of a bowl of soup. The edible lavender chive flowers are an unusual but welcome addition to salads.